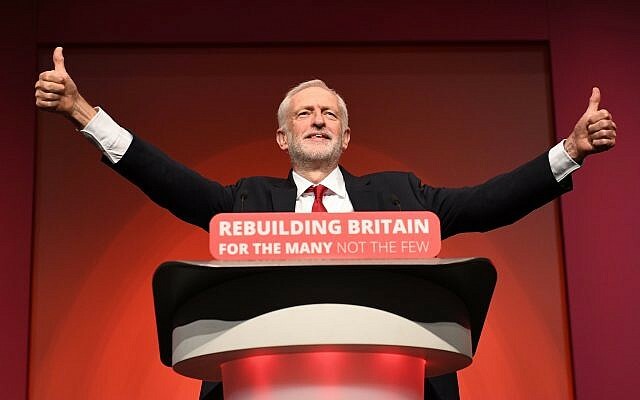 A new report claims the Labour Party is “institutionally antisemitic” and concludes that the scale of its antisemitism crisis has been underestimated. Fathom journal editor Professor Alan Johnson’s report, launched in Westminster on Thursday morning, brings together more than 130 examples of anti-Jewish hatred and denial. His report says that Labour has “failed to understand contemporary antisemitism, failed to prevent the party becoming a host to antisemitism, failed effectively to tackle antisemitism, free from political interference, and failed to root out a culture of antisemitism denial and victim-blaming”. He is particularly critical of Labour leader Jeremy Corbyn, and told Jewish News that there was “an absence of self-criticism” on Corbyn’s part which made Professor Johnson believe that “he is not capable of leading the party out of this mess”. Labour had “not really grasped the shape-shifting form of antisemitism”, Professor Johnson said, adding that Corbyn in particular had “shown more than intellectual incuriousness” when it came to his defence of cases such as Raed Salah. He noted “the record of the leader, and some of his closest aides, of public support for antisemitic forms of ‘anti-Zionism’. Without criticism of that record by Jeremy Corbyn, party members defend it and the normalisation of antisemitism in the party continues”. He said that the depth of the crisis had been “seriously underestimated. The antisemitism issue is indicative of something extreme and will be a reason to drag down the Labour vote across the board. The party is unable to understand the distress and pain of a minority community”. He expressed concern about the decision of the Labour leadership to remove responsibility for anti-antisemitism training from the Jewish Labour Movement. “It strikes me as a terrible decision”, he said, adding that he would go as far as to say that Jewish Voice for Labour was “enabling standard issue bigotry” within Labour, and its members were “actively seeking out spots on TV or columns in papers in order to ‘kosherise’ antisemitism in the party”.